Crests of the Kingdom –Mr. 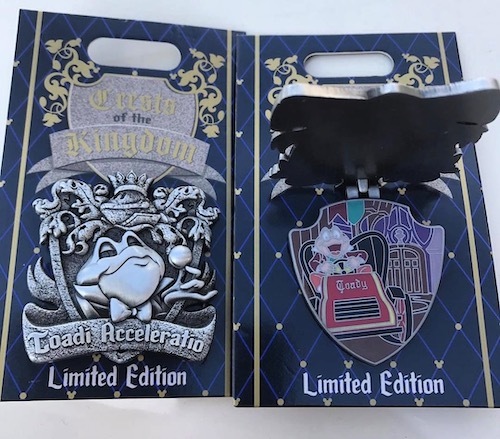 Toad’s Wild Ride: This is the first pin in the monthly Crests of the Kingdom collection at Disneyland! Limited edition of 2,000 and the retail price is $17.99. Available at DLR on January 24, 2019. 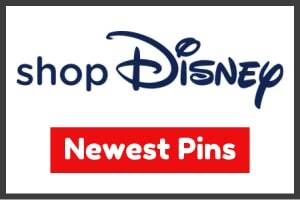 DLR AP Train Series Pin: This is the first Disneyland Annual Passholder quarterly pin for 2019! 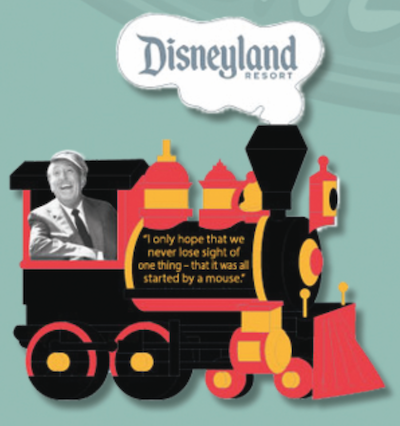 It features Walt Disney on a train. Limited edition of 3,000 and the retail price is $17.99. Available at DLR on January 24, 2019. 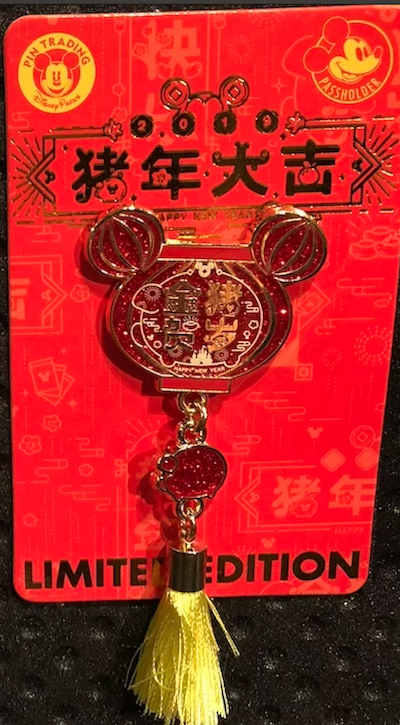 DLR AP Lunar New Year 2019 Pin: This is the Disneyland Annual Passholder exclusive Lunar New Year 2019 pin! Features a tassel element at the bottom. Limited edition of 4,000 and the retail price is $17.99. Available at DLR on January 25, 2019. 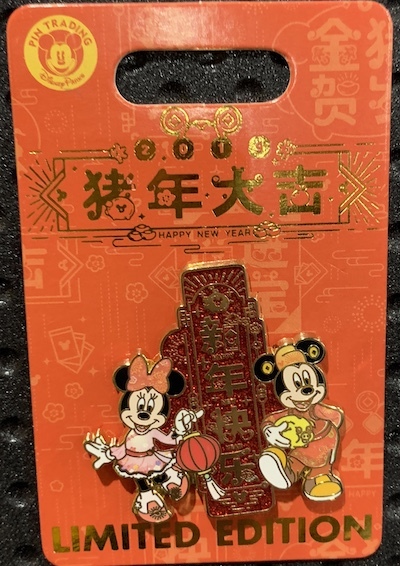 Lunar New Year 2019 Pin: This is the Lunar New Year 2019 pin at Disney Parks! Limited edition of 4,000 and the retail price is $16.99. Available at DLR on January 25, 2019. 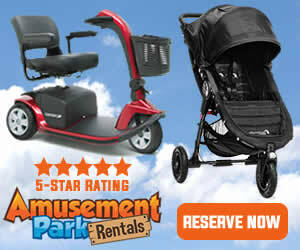 It will be available next week at WDW. 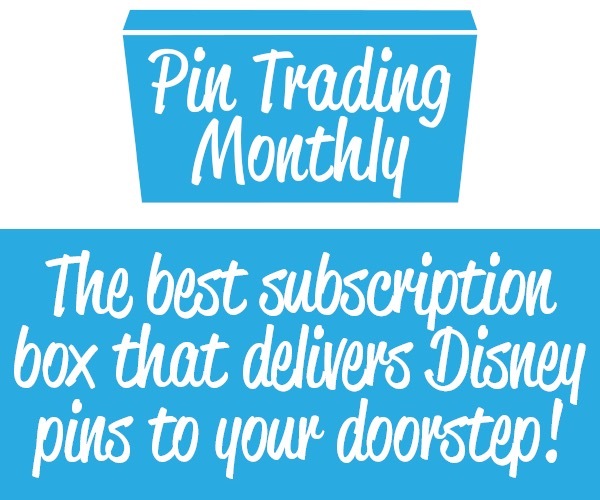 Magic of Honor –The Enchanted Tiki Room: This is the first pin in the monthly Magic of Honor collection at Walt Disney World! Limited edition of 2,000 and the retail price is $17.99. 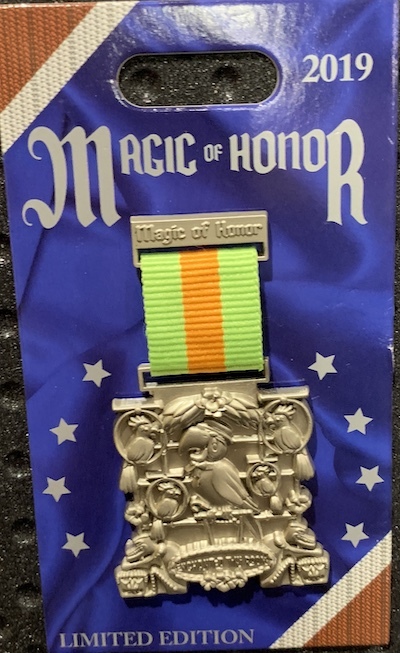 Available at WDW on January 24, 2019. 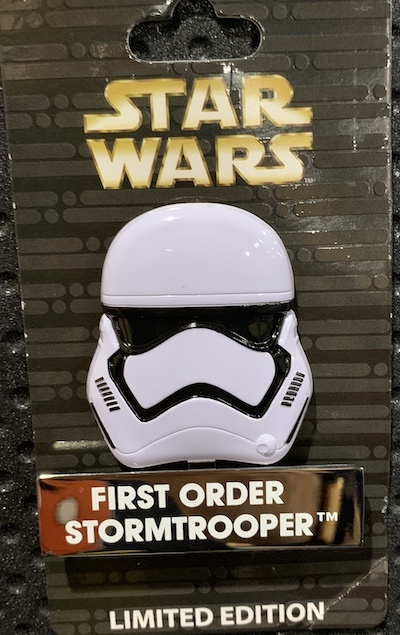 First Order Stormtrooper Helmet Pin: Features First Order Stormtrooper and has a hinged stand element. 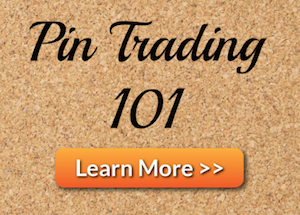 This is the ninth pin in the Star Wars Helmet collection. Limited edition of 4,000 and the retail price is $17.99. Available at Disneyland and Walt Disney World on January 24, 2019.